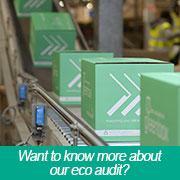 Our long term customer and supplier strategy ensures we reduce unnecessary cost and environmental impact. We source over 80% of the products we supply from distribution centres within the M25. In addition all our print products are manufactured locally together with our most popular furniture range. This is a major factor in developing the quality of our supplier relationships and the efficiency and reliability of our supply chain. Not only does this allow us to work closely with our suppliers to achieve greater control over the quality and reliability of our products and service levels, but greatly reduces the impact of our supply chain on the environment. We are confident in our ability to deliver a local, low cost, low carbon solution, which will enable you to reduce your expenditure on office supplies and enjoy the premium service that we are proud to deliver to our customers.